IRVINE, California – (September 21, 2013) – On Friday, September 20, at approximately 4:00 p.m. inmate Max Edward Fernandez (DOB: 8-27-1986) was confirmed missing during a security check at the James A. Musick Facility. The investigation is ongoing as to how Fernandez escaped the facility. Fernandez was in custody for possession of stolen property and a narcotics violation. He has a criminal history of thefts, burglaries, narcotic violations, auto theft and resisting arrest. 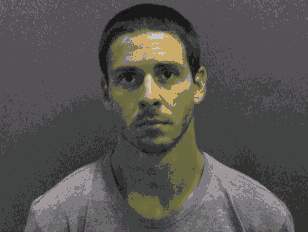 Fernandez is described as a male white, 5 feet 8 inches, 170 pounds, brown hair, brown eyes with several tattoos (tribal band – upper right arm, skull – upper right back, USMC with a hammer head shark – left tricep). He was last seen wearing a gray t-shirt and red shorts under a pair of gray sweat pants. Fernandez may have injured or cut himself during the escape. Anyone with information regarding Fernandez’ location or with information they believe may assist in this investigation is asked to contact the Orange County Sheriff’s Department at (714) 647-7000, or submit an anonymous tip to OC Crime Stoppers at 885-TIP-OCCS (855-847-6227) or occrimestoppers.org.